Following our successful fall webinar series, Convergence is proud to announce the launch of their spring series, designed once again to support working professionals on campus. Whether you are a religious based professionals like a Hillel director, university chaplain, or campus minister, or a higher education professional in any area of the institution, their webinar series will benefit you. In January, they will explore what it means to be spiritually fluid or to hold multiple religious identities with Tahil Sharma and Duane Bidwell. In February, they will discuss the role of chaplains in higher education with Rev. Dr. Monica Sanford. March will feature Adriana Tulissi and Bob Smith on the topic of multifaith space and the unique differences and opportunities on campuses. April’s webinar will be hosted by members of Convergence’s Muslim Professionals Resource Team and will consist of a conversation on challenges and successes from the field. Lastly, in May,Simran Jeet Singh will teach attendees how to better support Sikh identities on campus with. For spring 2019, all webinars will remain free. Go here to register. Adopting a greener lifestyle is not just about saving the polar bears. It can also be about improving your quality of life and boosting your overall health. But wouldn't it be expensive, you may ask. You don’t have to drain your wallet to go green or drastically change your life. Coupon Chief’s guide to cheap green living will introduce you to the many inexpensive ways you can reduce your impact on the environment. Go here to learn more. This January, 2018 the North American Interfaith Network (NAIN) launched a new series of online virtual conversations: “NAINChat.” Making use of exciting new video conferencing technology, NAIN plans to enhance interfaith networking, highlight existing interfaith programs, and address issues of concern as they arise in North America. Hosted by Emmy nominated broadcast journalist and interfaith leader, Bettina Gray, these monthly interactive conversations have explored topics such as polarization in our communities, young adult interfaith leadership, interfaith communications and social media. NAINChat is held every 3rd Wednesday of the month online via Zoom.com at 3:30 pm Pacific time zone, 4:30 Mountain, 5:30 Central and 6:30 pm Eastern time. On Wednesday July 18th the conversation will focus on the world-wide refugee crisis response with special guests Beverly Weise and Jewish filmmaker and interfaith leader Ruth Broyde Sharone. Bev Weise has been a refugee activist since September 2016, when she traveled to Chios Island, Greece as an independent volunteer in the Souda Refugee Camp. She started the IKAR synagogue’s Refugee Support Group, organized two interfaith World Refugee Day events (2017 and 2018), and hosted an event for synagogues across Los Angeles (Jews for Refugees Assembly) to learn about the refugee crisis. This year marks the 30th anniversary of the founding of NAIN. Interfaith leaders and member organizations of the North American Interfaith Network continue through this and other programs to address polarization and build community in North America. We're thrilled to announce the launch of KidSpirit Shorts! Now youth around the world can share their perspectives on life's big questions through a new and vital medium: video. With the help of a professional filmmaker, editors and contributors write and shoot creative performances, interviews, dramatic scenes, and more. To the left is one of the Shorts in the collection. New York KidSpirit editor Maya Mesh tells of her grandmother's and mother's journeys to thrive in the United States after immigrating from Ecuador. Her moving speech reminds us all of the importance of listening to each other's stories with open hearts. Go here to check the rest of them out! We hope that the report, and subsequent publications, including the edited volume, will contribute to and catalyse discussions on religious pluralism and its implications for social relations and policy. One of our key findings has been that interfaith initiatives still struggle to engage meaningfully with difference, and this occurs across the three sites. A somewhat forced emphasis on similarity and shared values often suggests that differences are a mere surface quality and do not demand serious attention. We suggest, however, that many differences in belief, worldview, or outlook are real and matter for the processes through which individuals and groups generate their identities. If interfaith initiatives want to be successful in reaching out beyond religious circles, they need to become better at approaching difference without fear of disharmony. Perhaps our report and related events can contribute to the discussion. Their report is available for free and can be accessed here. 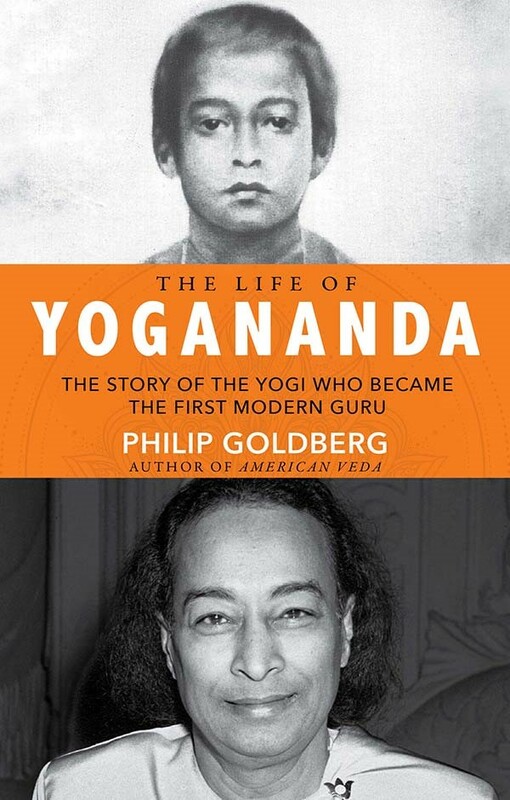 Written by TIO Board Member Philip Goldberg, The Life of Yogananda, a biography of “the 20th century’s first superstar guru” (Los Angeles Times), is long-overdue. Ninety-seven years after his arrival in the United States, and sixty-five years after his death, Paramahansa Yogananda remains the best known and most beloved of all the Indian spiritual teachers who came to the West. His influence is unsurpassed, because of the durability of his teachings and the institutions he created or inspired (more than 600 centers worldwide; 200 in the US), and mainly because of his landmark memoir, Autobiography of a Yogi. That text has sold millions of copies since its publication in 1946, but there are huge gaps in the story it tells. Yogananda spent more than 30 of his 59 years in America, yet that period takes up less than 10 percent of his book. Huge chunks of his life—challenges, controversies, relationships, formative experiences—are unknown to even his most ardent devotees. With this book, readers will finally have a complete and compelling account of Yogananda’s remarkable life, in all its detail, nuance, and complex humanity. Go here learn more about and order the book and here to learn more about Philip Goldberg. KidSpirit, an award-winning magazine and online community by and for youth, seeks a reliable, experienced teacher or youth mentor to start and facilitate an Editorial Board in your community. KidSpirit is an online quarterly magazine for 11- to 17-year-olds to tackle life’s big questions in an open and inclusive spirit. The magazine is peer edited and currently has nine Editorial Boards in the United States, Australia, China, Ghana, India, Pakistan, and New Zealand. Editorial Boards consist of four or more students (ages 11 to 17) who meet regularly to write and discuss articles, poetry, and artwork they submit to KidSpirit. Among many other activities, they collaboratively revise the articles of their fellow editors and discuss ideas for quarterly themes. To establish a new group, KidSpirit is looking for a teacher or mentor who is experienced in helping youth develop their writing skills to act as Editorial Board Coordinator. The Coordinator will be expected to spend approximately 25-40 hours per month recruiting editors, organizing and facilitating meetings, communicating with editors and KidSpirit staff, and helping contributors draft and revise their articles. The Coordinator will receive a stipend each academic semester (the exact amount will be determined based on skills and experience). Coordinators who are interested in a greater time commitment would have the option to expand beyond their local communities into regional outreach in their part of the country. To apply for the editorial board coordinator position or for the regional outreach position, please send a cover letter and resume to Elizabeth Dabney Hochman at elizabeth@kidspiritonline.com. The Center for Women, Faith & Leadership at the Institute for Global Engagement has launched their new educational resource website. It includes an research on the intersection race, gender, and identity in different parts of the globe, a monthly online webinar series called “Lean In to Your Faith: Meeting Professional Challenges with Spiritual Resources,” and an 800+ page leadership toolkit for women who want to advance their leadership in peace and security advocacy. The toolkit is available for a $50 tax-deductible donation, the proceeds going toward fellowships for women of faith currently living in conflict zones to participate in the institutes programming. The kit is comprised of four self-guided tracks: (1) Religion Gender & Identity Exploration; (2) Religion, Gender & Leadership Development; (3) Religion, Gender & Leadership Advancement in Peace and Security; and (4) Religion, Gender & Organizational Planning and Development. Their goal though the website resources and this toolkit is to equip women of faith with the tools and skills they need to engage issues of religious freedom, conflict resolution, and peacebuilding. Salt + Light Television is offering four short videos chronicling the contributions of four pioneers in Jewish-Christian dialogue efforts in the past several decades. Featured are Dr. Edward Kessler (England), Sr. Charlotte Klein NDS (Germany), Dr. Victor Goldbloom (Canada) and Sr. Mary Boys SNJM (USA). The videos are an ideal resource for teachers, adult educators, interfaith leaders and congregations and available for downloading and screening free of charge. More resources in Jewish-Christian relations can be found here. Scarboro Missions in Toronto continues providing us with new resources. This time comes a series of meditations from different traditions relating to the Golden Rule. More than two dozen practices are introduced. Here are the resources to teach a course on the various ways people meditate, or simply find your own best practice. And while you are at the Scarboro Missions site, take the time to wander around and see the host of other resources they provide for interfaith dialogue, the Golden Rule poster, and so much more. A Charter for Compassion Women and Children program is emerging from among Charter partners with the following vision: We envision a world in which all girls and women reach their fullest potential for global transformation, holding compassion as our driving force. Water is Life Earth Week Compassion Games Join the Team Women and Girls and express your compassion outloud in the upcoming Earth Week coopetition with the Compassion Games! Make sure to name Compassionate Women and Girls as your Team name! One can note that a number of similarly intended movements are emerging all over the world and hope that they get to know each other and work together. For more about the Charter for Compassion, go here. Stereotypes "Religious Literacy: Traditions and Scriptures"
Huffington Post has an article about the new offerings. Fifty thousand students are anticipated to participate. Go here for details and to register. Gerald Krell and his team at Auteur Productions are willing to go where interfaith filmmakers typically fear to tread, taking on tough interfaith issues in a creative, constructive fashion. Three Auteur films are being featured this month on public television, and they are all worth seeing. Check your local listings. If you can’t find these jewels in your public television listings, visit interfaithfilms.com where you can see trailers (one of which you’ll find on this page), get study guides, and rent (for streaming) or buy the films. The trailer for “Three Faiths One God: Judaism, Christianity, Islam,” from interfaithfilms.com. Equally important, “Three Faiths One God: Judaism, Christianity, Islam” examines how people of goodwill in the Abrahamic faith communities are coming to terms with historical conflicts that impact our lives today; the crisis of the fundamentalist approach to religious pluralism; and tearing down barriers to understanding and respect. Hundreds of communities across North America are trying to figure out how to cut through religious bigotry; for them this is a gold-standard resource. “Jews and Christians: A Journey of Faith” might seem more familiar territory, but it investigates common beliefs, traditions, and rituals shared by Judaism and Christianity that may surprise most viewers. "As a thoughtful guide to respect and tolerance ‘A Journey of Faith’ may have no peer,” wrote the Seattle Post-Intelligencer. If you teach religion or interreligious studies, or lead a congregation, or are part of interfaith organization, consider subscribing your community to TIO. It’s free – and can provide you with a wealth of interfaith information and opinion, stories from around the world about diverse communities learning to live with and thrive in a multireligious, multicultural environment. Several ways to do getting connected. Send us the e-mail addresses here and we’ll add them to our subscription list. If you have a newsletter, we can supply you with a list of the titles of each month’s feature articles. Contact Megan Anderson here to be added to that summary monthly posting. At the very least, just list TIO’s homepage – www.theinterfaithobserver.org – in your newsletter. The link takes you to TIO’s most recent issue. The #TangibleHope project provides a multi-platform opportunity for interfaith activists everywhere to submit, share, and enjoy stories of hope, stories of positive social change rooted in values and ethics. Every day people from different racial, cultural, religious and socio-economic backgrounds join in creating positive social change in their communities. These people work together across their differences, defying the stories of fear and hate that dominate the media. It’s time to AMPLIFY the voices of tangible hope. You can participate on Facebook, Twitter, or Instagram. A Toolkit can get you started. #TangibleHope is a program of United Religions Initiative North America, but all interfaith activists and peacemakers are welcomed to participate in sharing their stories. You can go to #TangibleHope Diaries to read some of the first stories. The Interfaith Observer (TIO) is a co-sponsor of the project. Interfaith studies programs, a rarity not so long ago, have been popping up in college and university curricula with increasing frequency all over the world. Dr. Nathan Kollar, a widely published writer on American religion, has outlined the major issues involved in establishing an interfaith studies program. He proposes eight essential essentials (see below) in creating a mission statement. Dr. Koller’s extended article, “The Interfaith Movement in a Liminal Age: The Institutionalization of a Movement,” which you can find here, explores issues such as diversity of views, resources, challenges, risks, support for marginal voices, and the encouragement of dialogue rather than diatribe. The paper is made available through the good services of Scarboro Missions in Toronto. If you are scheduled to give a talk or workshop on interfaith, on turning strangers into friends, you will want to consult these resources. Numerous handouts included here can supplement your workshop or classroom. Download “Principles and Guidelines for Interfaith Dialogue” free of charge. Kudos to Scarboro Missions Interfaith Department for evaluating and collecting the best from a multitude of resources, and for making them available for free! The redesign of the award-winning pluralism.org website was made possible by a grant from the Arthur Vining Davis Foundations. People of faith and practice represent a critical constituency in the struggle to address the global challenge of a world getting hotter every year. But the very nature of religious community means that the left hand doesn’t know what the right is doing, and a fragmented response to climate change is inadequate. How the World’s Religions are Responding to Climate Change (2014) goes a long way to mitigating our ignorance. Subtitled “Social Scientific Investigations,” its 17 chapters were edited by three academics, Robin Globus Veldman (teaching religion at the University of Florida), Andrew Szasz (teaching environmental studies at the University of California-Santa Cruz), and Randolph Haluza-DeLay (teaching sociology at King’s University College in Alberta, Canada). Convincing Congress to ratify the agreements made last December in Paris will be preoccupying activists across the globe – which is all to the good. An educated activism cannot help but empower the effort, and hats off to Routledge for this resource. Along with Dennis Raimondi, TIO contributor Philip Goldberg co-hosts Spirit Matters, a new series of conversations about contemporary spirituality. The interviews feature a fascinating lineup of guests with the likes of Ellen Grace O’Brian, Marianne Williamson, Mirabai Starr, Charles Tart, and Rami Shapiro. Nostra Aetate’s fiftieth birthday was noted in last month’s TIO, and included the full text of the historic document. When it was first published, it heralded a new day in interfaith relations, starting with the historically troubled Christian-Jewish relations. Scarboro Missions has published a stand-alone magazine to add to its library of interfaith resources, with ten articles that drill down deep into this foundational document regarding how religious traditions treat each other. As usual, these resources are free. You can get yours here. "Guidelines for Designing a Multifaith Prayer Service Available"
Open-ended guidelines in this resource cover the creation of ‘multifaith worship’ from soup to nuts. It is like a list of must-handle items if you want your event to promote respect, inspire those who gather, and not get blind-sided by something you forgot to do. Yet “Guidelines” is much more than a recipe, more like a curriculum that prepares you to meet the challenge of bringing together strangers with different backgrounds to share a spiritual experience. It is perfect workshop material for congregational leaders. Indeed, above and beyond its practical wisdom, reading the Guidelines is a quick way to get a sense of what interreligious community is all about and what it seeks to achieve. “Warm greetings from Religions for Peace-USA! Just a brief update on the RfP USA World Interfaith Harmony Week project. A short (1:47min) composite trailer of the “10 Things You Must Know About…” series, featuring shots of the 11 presenters and brief talking clips is available here. So wherever in the world you are doing interfaith youth work, this free resource is for you! You’ll find it here. Growing numbers of educators are discovering that religious and ethical education can no longer be conducted from the perspective of only one religion or culture. Indeed, religious educators of the future will call upon the wisdom and teachings of numerous religious and humanist traditions. In this do-it-yourself workshop and group discussion experience, participants are invited to reflect from the perspective of a universal moral principle – the Golden Rule – in its many and various expressions across the world's religions. And more good news from Scarboro: their world-famous Golden Rule poster is now available in Hebrew. Approximately 18 different language versions of the poster, ‘approximately’ because Scarboro can’t keep track of those who, on their own, translate the poster into their own languages. Hats off, Scarboro! Thanksgiving Service last year at Scarboro MissionsScarboro Missions, the go-to internet portal for the Golden Rule, has added a collection of all things having to do with interfaith dialogue. Click here to find dozens of curricula, do-it-yourself workshops, basic principles and best practices, toolkits, games, Powerpoint presentations, and articles, all linked to their source webpages and most free to download. A broad range of constituencies will find these resources useful, including schools, youth groups, universities, community groups, and grassroots interfaith organizations. They touch a broad range of issues including education, social justice, ecology,peace-building, conflict-resolution, spirituality, diversity, and global consciousness. How Does Your Neighborhood Respond to Disasters? The Center for Religion and Civic Culture at the University of Southern California has published two resources for dealing with religious communities under disaster conditions. The Religious Literacy Primer for Crises, Disasters and Public Health Emergencies, and Working with U.S. Faith Communities During Crises, Disasters and Public Health Emergencies: A Field Guide for Engagement, Partnerships and Religious Competency. Both offer useful information about religious communities, and would be helpful even outside disasters. For prospective seminarians, the ‘top 20’ interfaith-friendly seminaries might be the most important of these resources. For teachers of interfaith, the nine examples (Teaching and Pedagogy) of how to teach interfaith is a fascinating example of the scope and imagination of interfaith studies being developed in academia. To view or download free of charge, click here. This poster is complemented by a useful 20-page study guide. The guide is an imaginative, practical tool to teach youth and adult members of your faith community and school system about the sacredness of creation in your own faith tradition while reflecting on the ecological texts of other religions. You can order your poster here. Greetings from the Pluralism Project! I am delighted to share with you the launch of an online and updated version of On Common Ground: World Religions in America. You can view the press release on our website. For fifteen years, the CD-ROM version of On Common Ground (Columbia University Press) has been a go-to resource on religious diversity in America for teachers, professors, students, clergy, community leaders, and media professionals. Over the years, many of you have expressed your hope for an online version of this wonderful resource. We’ve echoed your excitement and are pleased that this new version of On Common Ground is now online and available free of charge. explored new versions of old challenges by integrating new materials and weblinks intoEncountering Religious Diversity, further building on a rich cache of historical examples, documents, news stories, and videos that highlight the many ways in which Americans experience our new multireligious reality. The Pluralism Project is grateful to Lilly Endowment Inc. which was a major funder of the original On Common Ground CD-ROM as well as the new version On Common Ground Online. This project would not have been possible without the enthusiasm and dedication of generations of Pluralism Project affiliates, researchers, staff, students, and the communities we both study and seek to serve. Thank you. We look forward to hearing your responses to OCG! This new set of videotapes and a study guide allow participants to experience each tradition’s understanding of how it walks God’s path and how the two faith communities can relate to one another in positive ways. Written by Philip Cunningham, John Michalczyt, and Gibert Rosenthal. Produced by the Center for Christian-Jewish Learning at Boston College on behalf and with the oversight of the National Council of Synagogues and the Bishops’ Committee on Ecumenical and Interreligious Affairs of the U.S. Conference of Catholic Bishops, it is now made available online through special arrangement with the Council of Centers on Jewish-Christian Relations. See here for details. Excerpted from Ethics and the Golden Rule by Harry Gensler S.J. This history chronicles the history of the Golden Rule from ancient to modern times. Essentially, the paper charts the ethical history of humanity through the lens of the Golden Rule. This chronology is an ideal teaching tool with the capacity to reach a multitude of diverse audiences. It also has interfaith content. Marcus, in the middle of a peace march in India.Widening Vision: the World Congress of Faiths and the Growing Interfaith Movementby Marcus Braybrooke is now available for downloading. Marcus, a TIO Correspondent, is known as the historian of the interfaith movement. In this new book, he is as much a participant as an observer. He joined the World Congress of Faiths in 1964 and serves as its president today. From this vantage point, he has been engaged for nearly 50 years in the burgeoning interfaith movement. In Widening Vision he shares his first-hand account of working with the Temple of Understanding, Religions for Peace, the Parliament of the World’s Religions, the North American Interfaith Network, and United Religions Initiative. The book concludes with his vision of a peaceful interfaith future. Widening Vision is available as an e-book from Kindle at Amazon. Toronto’s Scarboro Missions movie, Animating the Golden Rule, is now available free of charge on the Internet. The DVD features students in three Toronto high schools embodying golden rule values by way of skits, artwork, interviews, music, dance & rap. The film eloquently demonstrates how character education can be engendered in young people using play, creativity and the arts. This movie is very useful for teachers and youth leaders because of its themes of youth, global citizenship, multiculturalism, ethics, diversity and the arts. To view the film, in four sections, click here.